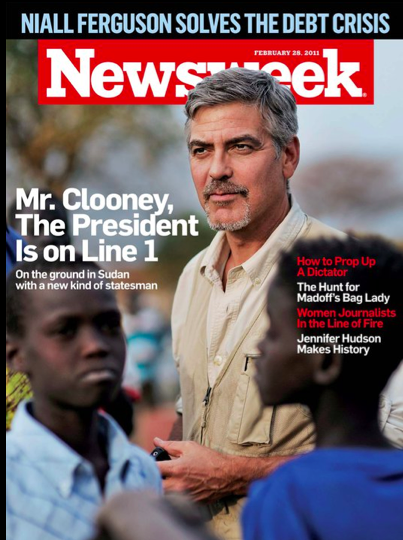 George Clooney on the cover of Newsweek latest issue. Not in tux or any fancy clothes but the movie star wearing earthy tones clad and he’s still looking good! This entry was posted on Monday, February 21st, 2011 at 6:56 AM	and tagged with George Clooney, Newsweek and posted in Actors and Actresses, Cover, Magazine. You can follow any responses to this entry through the RSS 2.0 feed.